Olivewood would not survive without its volunteers. The dedication of our local community is essential to the preservation of Olivewood Cemetery. Our volunteers come both as individuals and as groups, small and large. We have volunteers who work with maintenance, research, fundraising, and even cataloguing wildlife. Visit the Volunteer section of our website to learn more about the opportunities that are available. You can access the volunteer waiver form here. Above: Volunteer prepares to remove drought-damaged trees from the cemetery. 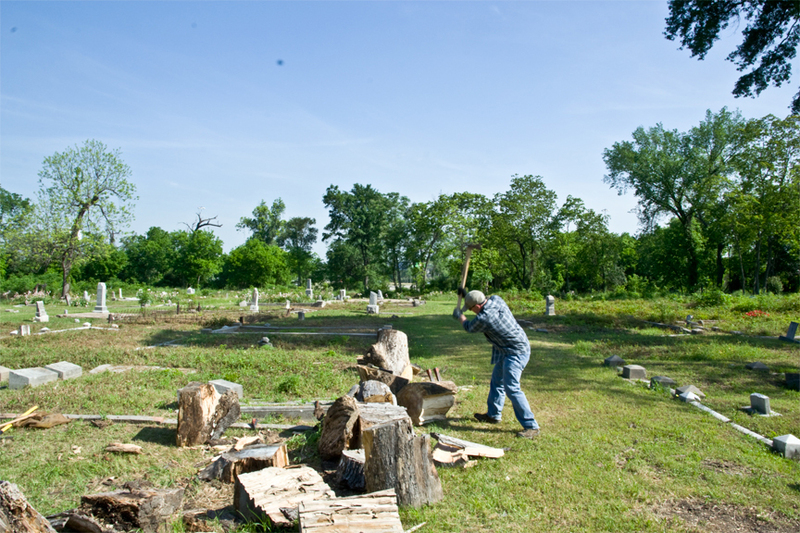 Below: Volunteers prepare to clear an area at the north end of the cemetery.